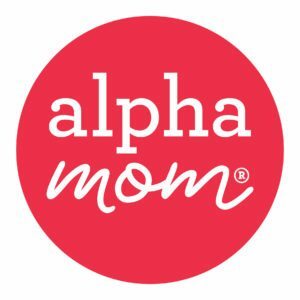 Prev Best Meal Kit Delivery Services for Families to Solve the Daily Dinner Grind (we tested 9 of the most popular ones) Next Mermaid Icebox Cookies! Every parent has heard the term “summer slide” said when our kids aren’t in school, and most of us know that it can mean two things: 1) an awesome 50’ long tube at the local water park, or 2) the weird phenomena where your kids are relaxing just a little too much during vacation, and they wind up forgetting some of what they just learned in school. I recently saw this myself when my son Sam wrote “BBQ sause” on our grocery list. He said he was joking, but I’m not entirely sure about that. But if you, like me, are currently a bit worried about the second type of summer slide, we can help. All you’ll need is a few good educational resources on the web, a good attitude and a nutritious breakfast. 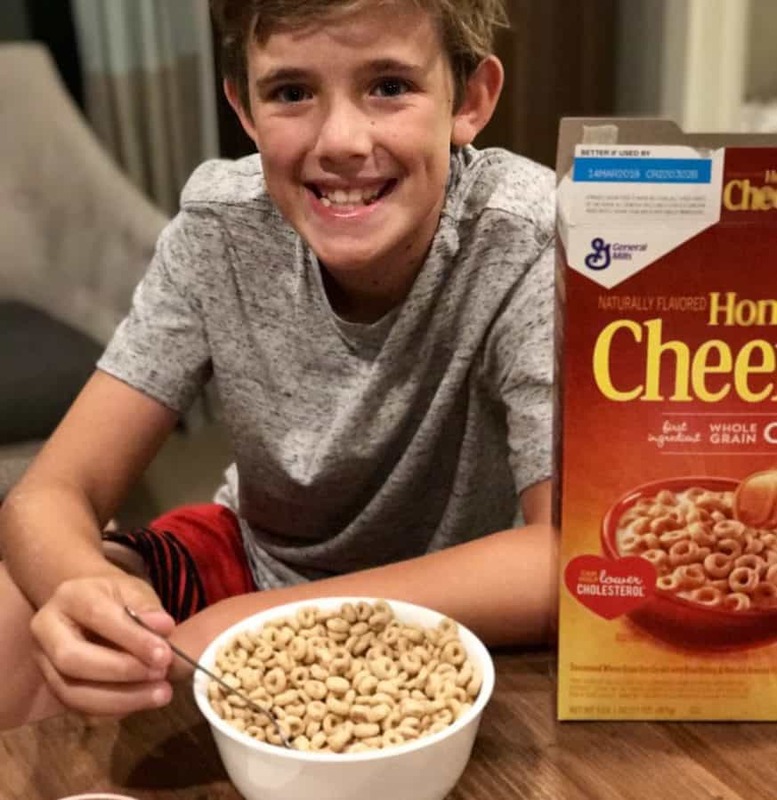 We partnered with General Mills Cereal to show you how to beat the summer slide, one bowl of cereal at a time. Step 2: Write the question of the day on an index card, if it’s math, or tell your child the word of the day and ask them to spell it for you, if it’s vocabulary. Prepare a few questions in advance so you have them handy each morning when your kids sit down at the table. Older kids need a pencil and paper to do some calculations, so keep those handy. Younger kids may just want to say the aloud, or they may want to use paper and pencil too, just like in school. 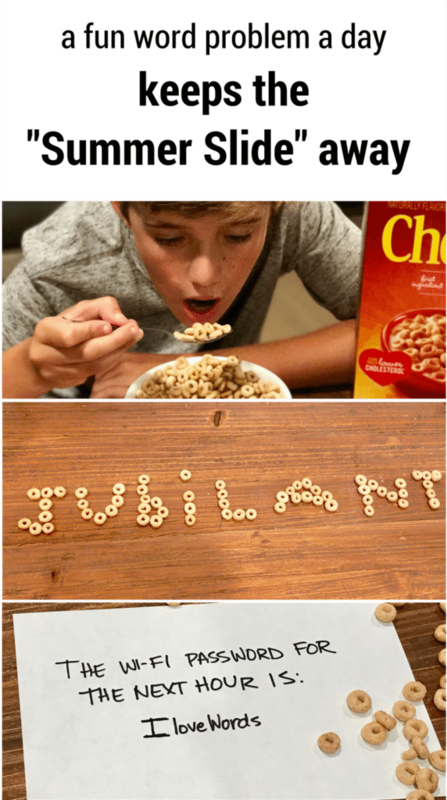 But it should be noted that any age of kid may want to use their cereal to figure out the answer, which is perfectly okay. That’s what the pincer grasp was made for, right? Even when you’re a teenager. Step 3: Give your child time to enjoy their breakfast while they also think about the question of the day. Then, when they’ve finished their bowl of cereal and they’re full of energy, ask them for the answer. If they get it right, give them an enthusiastic “good job!” Or, if you have a tween or teen like my sons who aren’t so easily impressed by pure praise and will just give you an eyeroll in return, really make it worth their time and give them the Wi-Fi password for the next hour or two as a reward. 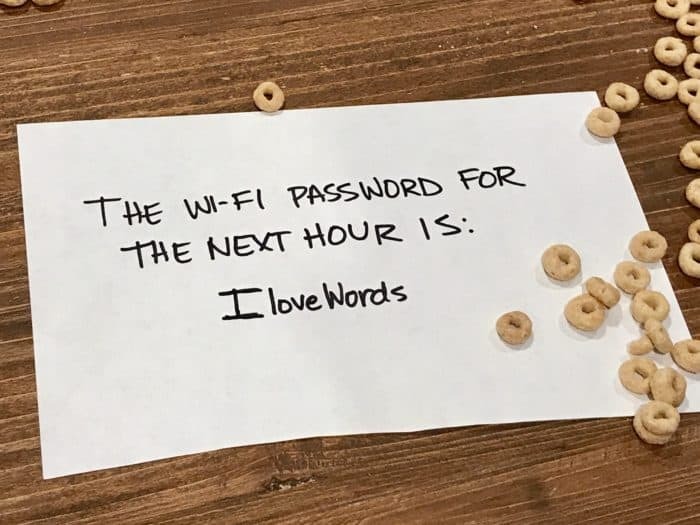 It’s up to you how you want to incentivize, but access to the Wi-Fi password for a couple of hours works like a charm in my house. So many YouTube videos to watch, so little time. 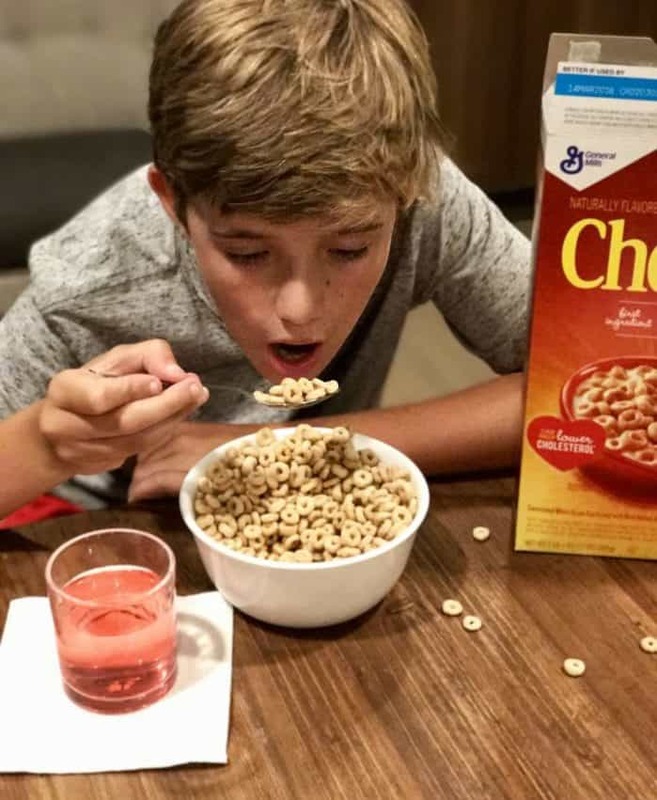 Step 4: Pat yourself on the back for not only giving your kids a nutritious breakfast packed with whole grain, but for giving them something to keep their mind active, too. Because as every parent knows, in the summer when the days are hot and everyone’s busy having fun, the only good slide is the one that requires a swimsuit. Thanks to General Mills Cereal for sponsoring our work. This post was jointly written by Wendi Aarons and Lauren Baynes. Wendi Aarons is an award-winning humor writer and blogger who lives in Austin, Texas with her husband and two sons. You can usually find her at Wendi Aarons. Wendi is also a co-founder of the cheeky advice site, The Mouthy Housewives. Lauren Bayne is a veteran of the advertising world with 15+ years of experience. In 2015 she launched Offspring Agency, a family-friendly creative content studio. This is brilliant! I think it’s a great idea for my tween – who needs help with his math skills. Plus he would DO anything to get on the WIFI. I absolutely love the idea of incorporating math into your breakfast routine! This just might be what my little guy needs to get through the summer! What a fantastic and fun way to beat summer slide…I’m really worried about this so thanks for the idea.